WERKZEUGMASCHINENFABRIK WALDRICH COBURG GMBH, Tööpingid - metalli töötlemine, CNC 5-axis milling equipment, CNC machining centres, EUROPAGES'sis. At WALDRICH COBURG, innovative engineers and qualified professionals develop and manufacture precise large machine tools. As a global player, we consequently place great emphasis on providing high-quality training and strengthening our brand as an employer. Our guiding principles include adhering to the highest standards in quality and consistently focusing on the requirements of our customers. At our company headquarters in Coburg, we manufacture high-precision portal milling machines, vertical lathes and grinding machines. Our machines are used in virtually every sector around the world – for example, in processing housings for diesel engines, in power plant construction and mechanical engineering, and in tool and mould manufacturing. 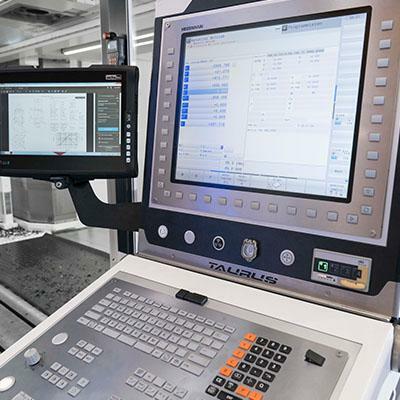 Whenever particularly high requirements need to be adhered to in workpiece machining with regard to precision, cutting performance, workpiece dimensions, complex technologies and productivity, we can support our customers as an ideal partner. This is because WALDRICH COBURG stands for quality, technology and innovation – made in Germany.